A 1 MW tidal stream turbine installed off the Orkney Islands in Scotland at the European Marine Energy Centre surpassed 1 GWh of electricity generated earlier this month, going a long way to proving that tidal energy, if not all marine energy sources, is worth the trouble. The 1 MW tidal stream turbine was installed and connected by Alstom at the European Marine Energy Centre (EMEC) as part of the ReDAPT Project. Earlier this month, Bloomberg New Energy Finance Chief Editor Angus McCrone asked whether tidal and wave energy were worth the trouble they seem to be causing. But the reality is, the only troublesome technology is wave energy — as it continues to provide lacklustre results and seemingly neverending technological challenges. The strength of tidal energy projects such as Alstom’s Orkney Islands project has helped drive the development of Alstom’s new 1.4 MW turbine, the Oceade™, which was just chosen to be a part of the recently announced project being developed by a consortium made up of GDF Suez and Alstom in France, at the Raz Blanchard location. 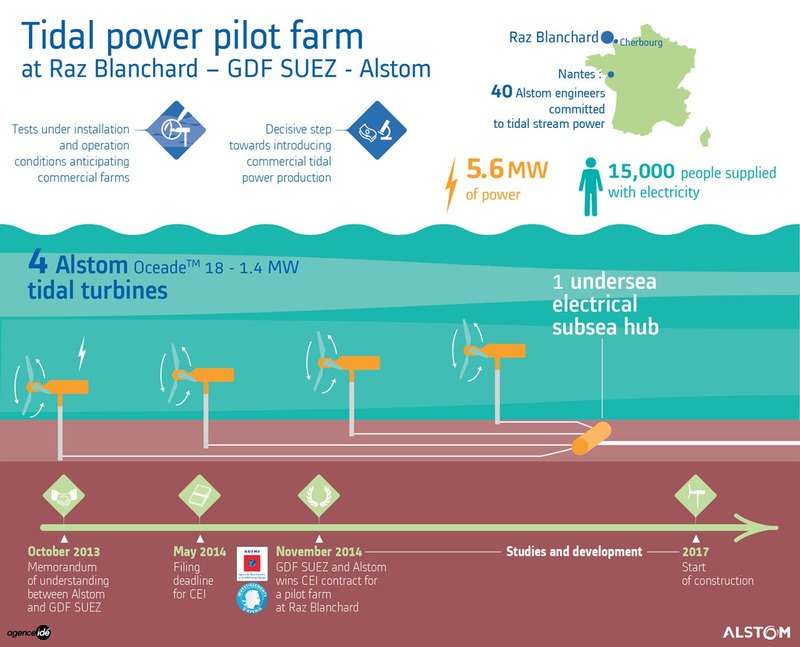 At the same time as the Alstom/GDF Suez announcement, the French Government also awarded another consortium approval to move ahead with their own tidal energy project at the same location.